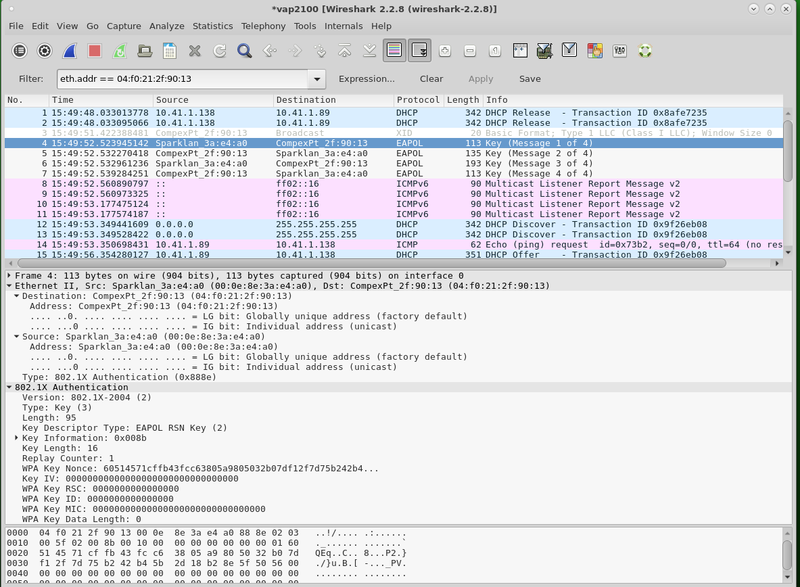 Goal: Create a scenario where WiFi stations send out corrupted packets that can cause handshake and authentication failures. 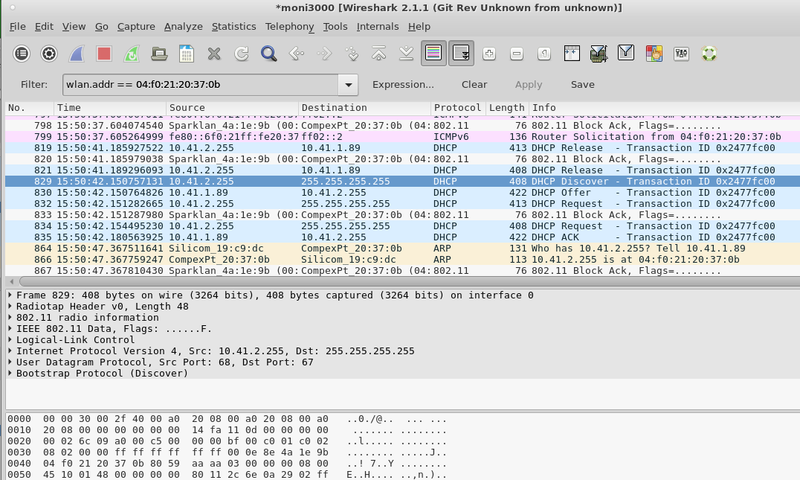 Learn techniques to capture and inspect packets to view corruption and scan log files to find indications of LANforge corruption injections. We will learn to use the some WiFi packet corruption features to emulate malfunctioning station equipment. This consists of enabling the corruption features and looking for errors when stations attempt to associate. 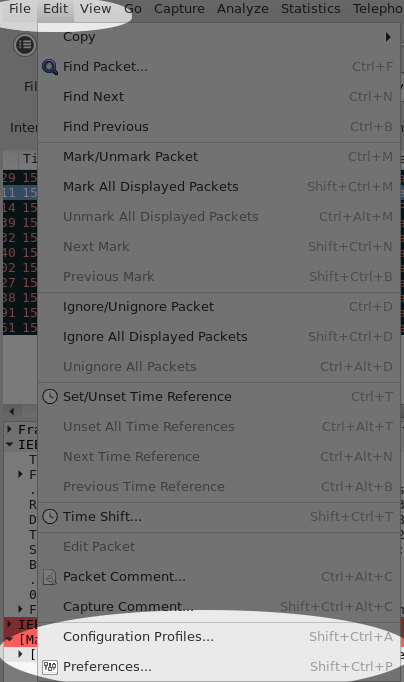 Part of this will include capturing packets and inspecting them. This scenario requires LANforge version 5.3.6, and a two-radio LANforge system with one radio set in monitor mode. We will begin with a basic open authentication test scenario with a single virtual station on a LANforge system connecting to an AP. (See Also: Generating Traffic for WLAN Testing) This test scenario also works for Captive Portal testing. We will use the simplest form of corruption, ignored frames. 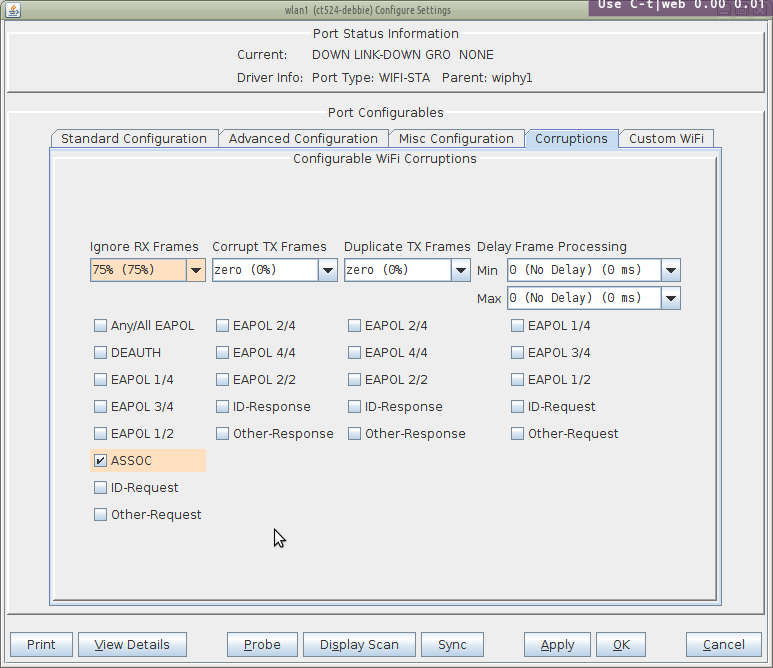 Select the Port → Corruptions tab, and set Ignore RX Frames very high, like 75%. 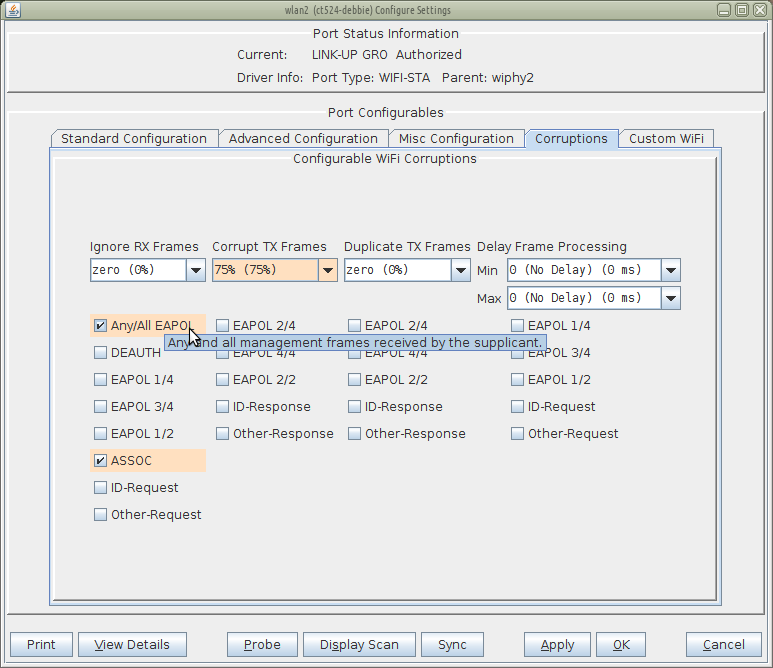 To limit this to association frames, select ASSOC. Introducing corruptions is simple. Watching the effects takes some effort. With aggressive association corruptions, the basic effect will appear as if your station takes an unreasonably long time to associate. 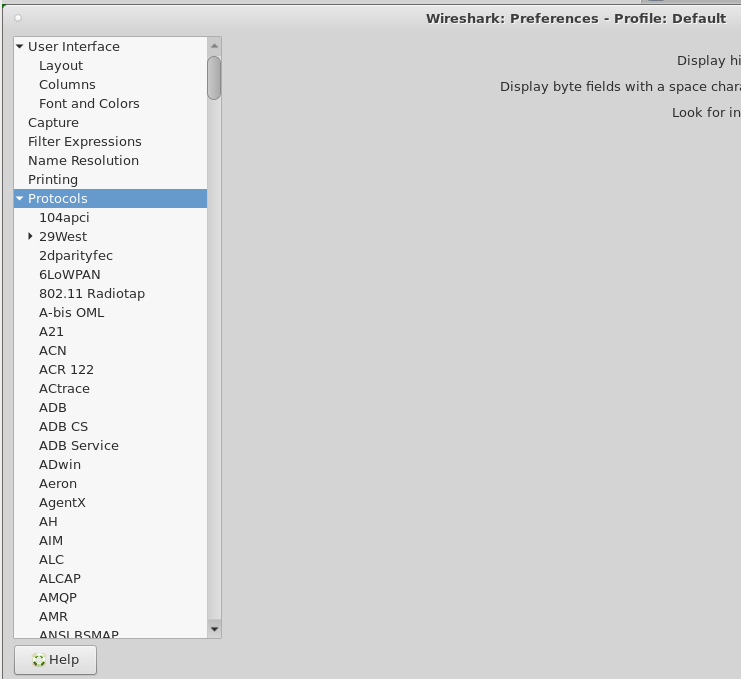 Let's set up Wireshark at different interfaces to understand better the kinds of traffic at play. You will see the moni3000 port below. The channel number will not display. 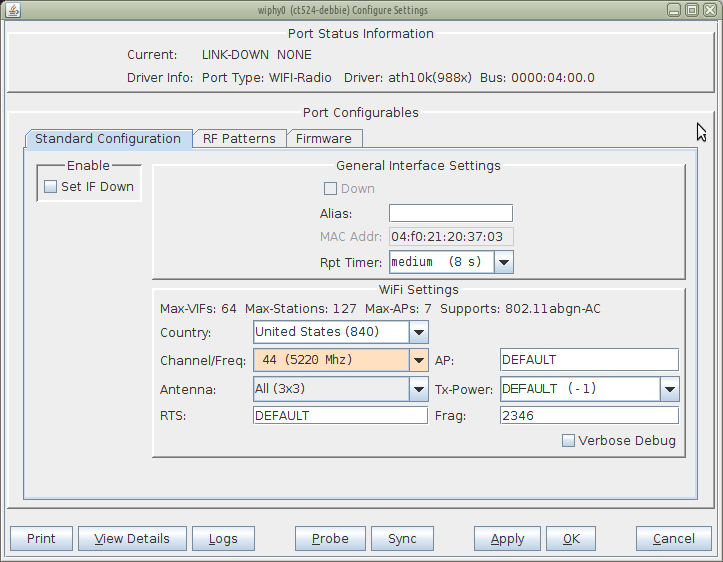 Create a station (wiphy1 → wlan1 will work) and associate it with hedtest-2000-open. Highlight the station in the Ports tab and bring it up. With 75% ignore the chances of the station actually associating are very port. 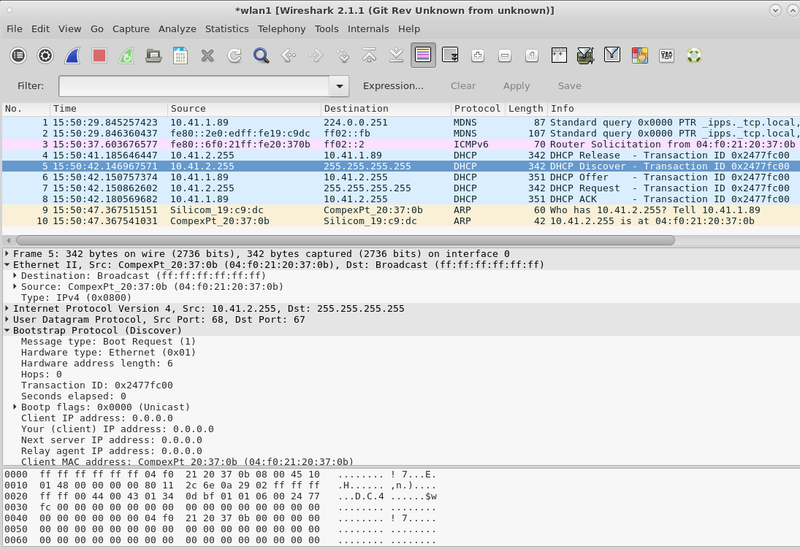 On our monitor interface, we see that there are multiple discover and request packets. 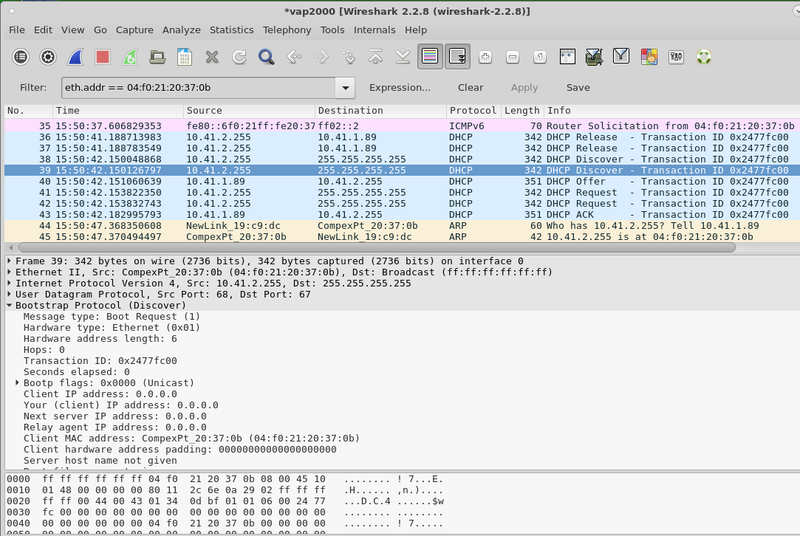 On our station interface (wlan1), we see a different number of DHCP requests. At our AP, we see repeated attempts. 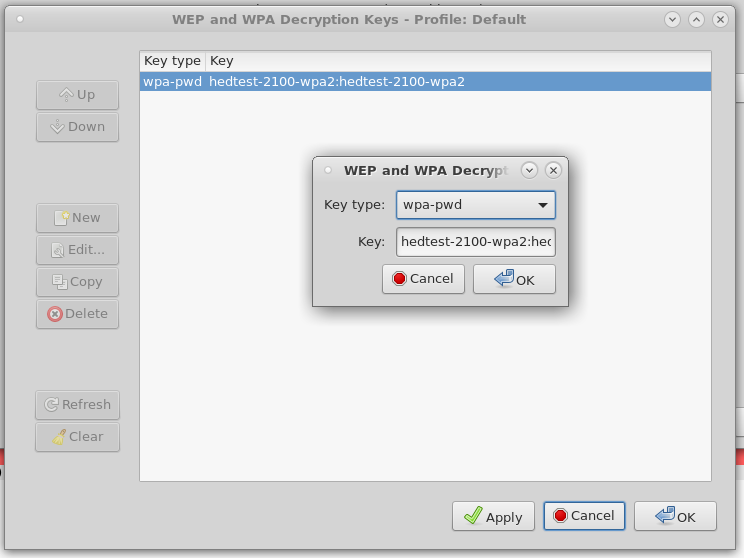 We will configure a station with WPA2 PSK encryption. 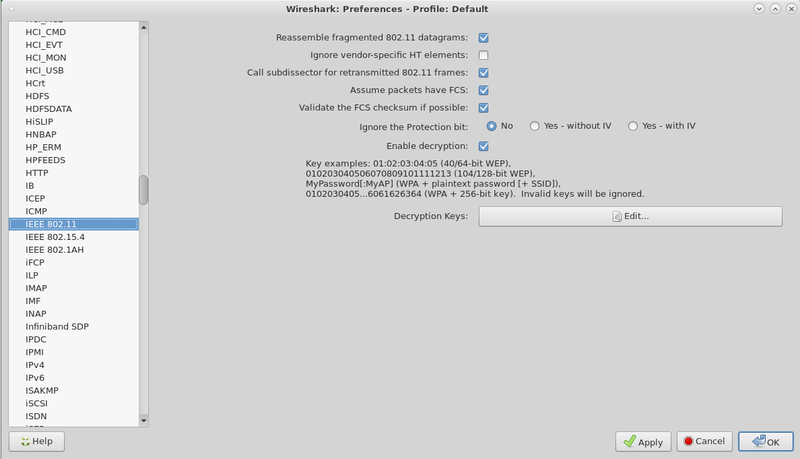 We will also use Wireshark to decrypt the packets in order to see that they are corrupt. 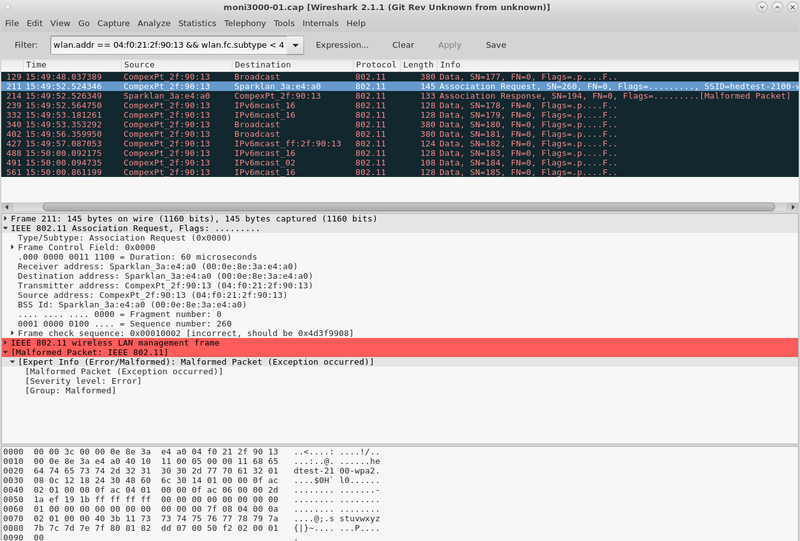 Notice how the AP only really gets the uncorrupted packets. 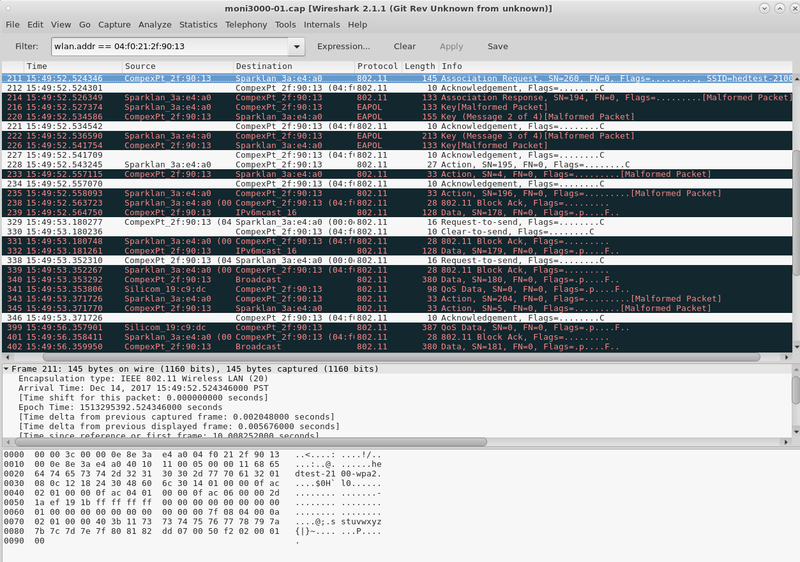 What we hope will happen is that our WiFi drivers will discard corrupted packets before passing them up to userspace.